The condo was amazing! Kitchen, living room and bedroom were great. The second bed is in a funny little closet, would be only good for kids, maybe not so much for adult couples. The location was walking distance from the eagle lodge. Big outdoor hot tub was a huge perk! Plus dedicated spot in the parking garage was nice. We liked that the unit was very clean and had tons of space for unloading all your gear. 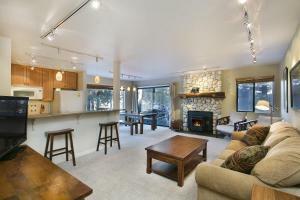 The unit is walking distance to the Eagle lodge with underground parking. Kitchen is fully stocked with utensils and all linens were clean and ready to use. Hot tub was hot and the sauna the same. The condo clean and stocked with firewood and everything else we needed. The beds were both comfortable !! 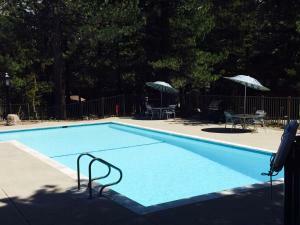 Good location, close to grocery store and shops. Updated kitchen and bathrooms. Fit our group of 8 nicely. Cute rustic decor. Kitchen was well stocked with basic cooking items. Some fans in rooms, helps with heat since there is no AC. Landscaping and grounds looked well taken care of. Would stay again. On arrival I was greeted by 2 cheerful hosts eager to get me checked in and start my weekend in Mammoth Lakes. The apartment was very clean, stylish and cozy. I was happy that kitchen was modern and supplied with cookware. 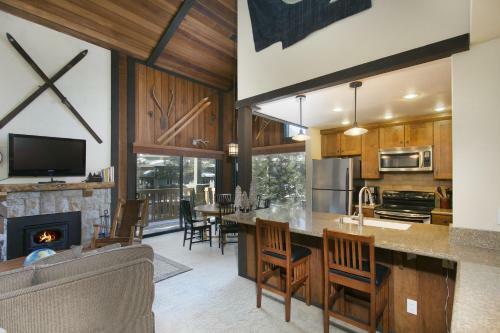 Great location, great kitchen. Having to check in down in the Village is a bit out of the way but the people were great and the place was also. The size of the place was very decent. 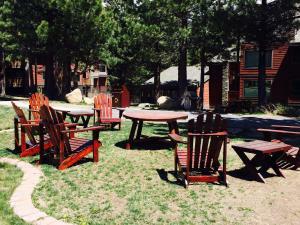 The place was clean and close to the Eagle Lodge. I would recommend this place and will be staying there for my next trip. The location is breathtaking, property is very cosy. 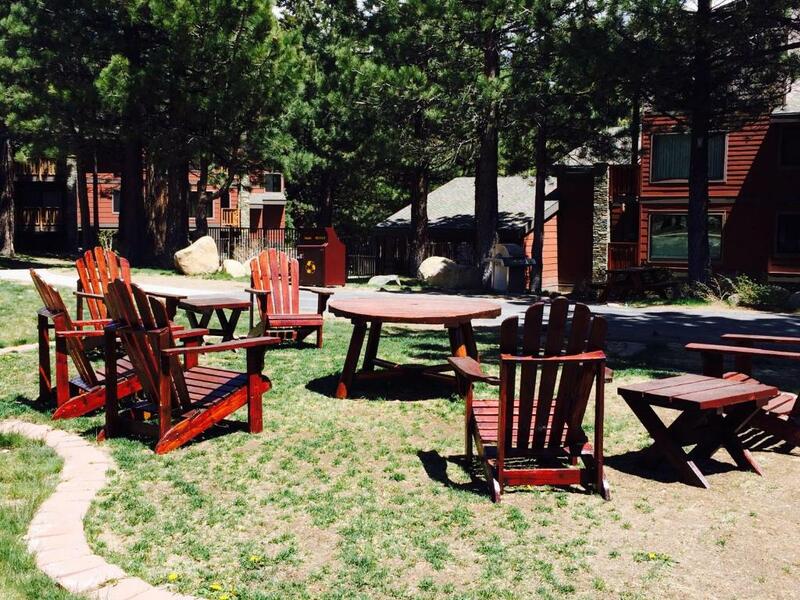 Lock in a great price for Summit by 101 Great Escapes – rated 8.5 by recent guests! 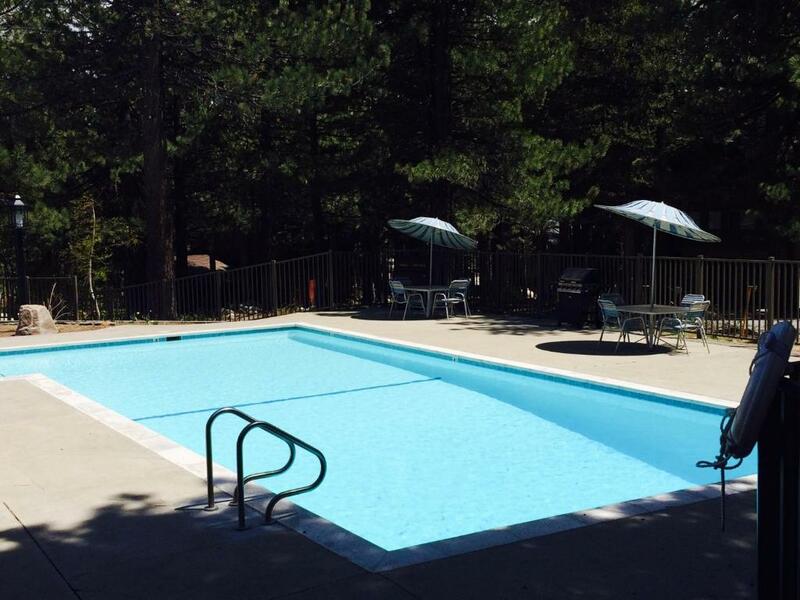 One of our top picks in Mammoth Lakes.Located 40 miles from Yosemite National Park, this Yosemite Village, California lodge features an outdoor pool and hot tub. Ski-to-door access is offered. Free Wi-Fi is offered in all apartments. 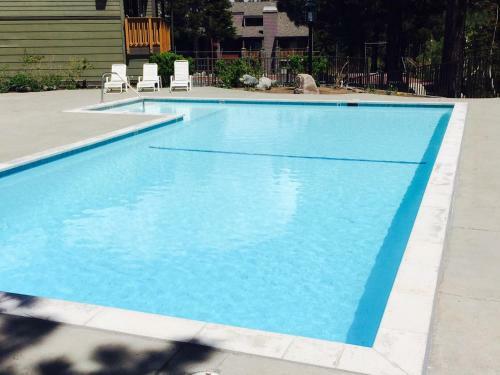 Featuring a balcony, each apartment offers a stone fireplace, a fully equipped kitchen, a flat-screen TV and two private bathrooms. A seating area and a dining area are offered in apartments at Summit. 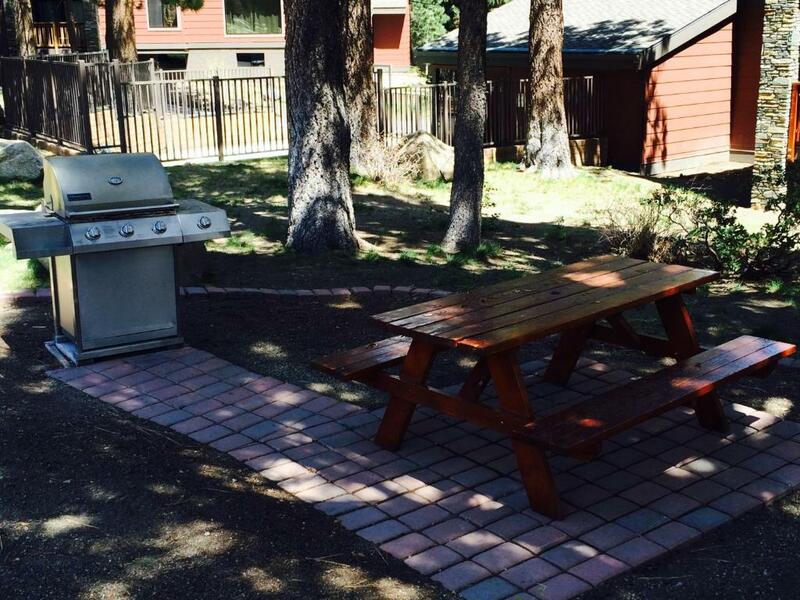 Barbecue facilities are offered at Yosemite Village Summit. A sauna is also onsite. Sierra Star Golf Course is 10 minutes’ walk away from Summit. Mammoth Yosemite Airport is 10 miles away. 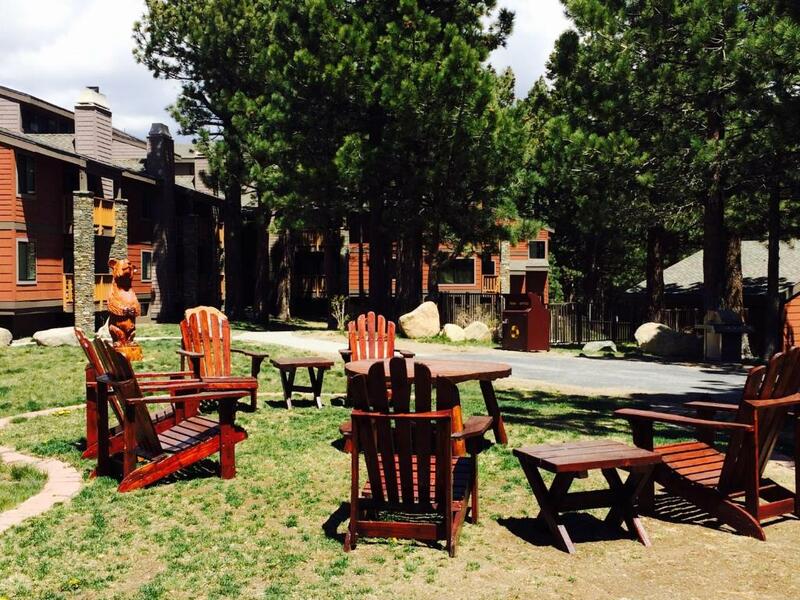 When would you like to stay at Summit by 101 Great Escapes? 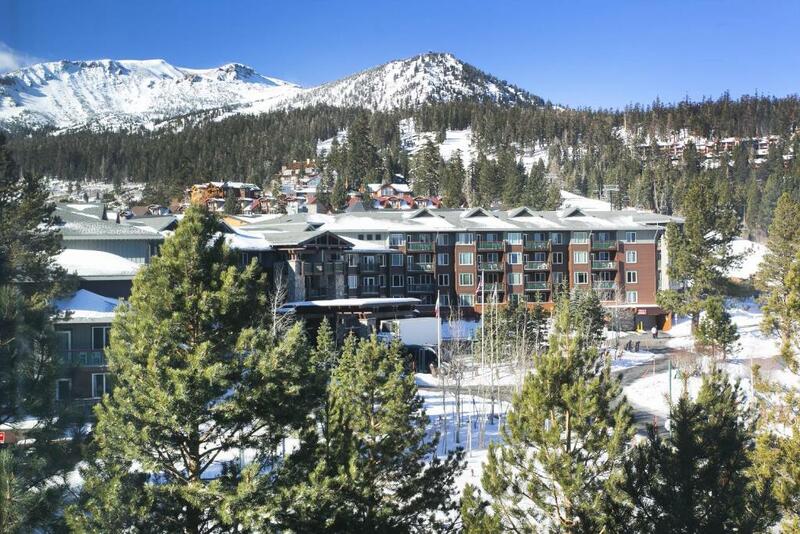 This 2-bedroom apartment is a corner unit with scenic views of Mammoth Mountain. The kitchen and bathrooms offer modern appliances. A fireplace surrounded by plush furnishings is featured in the living room. Featuring a balcony, this one-bedroom apartment offers a fireplace, a fully equipped kitchen, a flat-screen TV and an private bathroom. A seating area and a dining area are offered. This apartment has a stovetop, barbecue and DVD player. This apartment features a kitchenware, toaster and dishwasher. This apartment has a fireplace, microwave and DVD player. 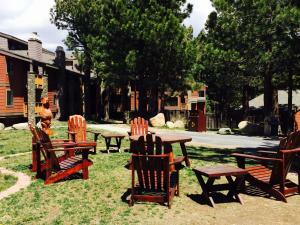 House Rules Summit by 101 Great Escapes takes special requests – add in the next step! Summit by 101 Great Escapes accepts these cards and reserves the right to temporarily hold an amount prior to arrival. Check-in is available from 16:00 until 18:00. Please make special arrangements directly with the property if your arrival is after 18:00. 24-hour service is available by phone. Parking is limited to 2 cars per unit. Please be sure to check for current road closures during winter months. Highway 120 (Tioga Pass) typically closes from late October until late May. When the Tioga Road is closed, it is not possible to drive to Tuolumne Meadows or enter Yosemite National Park from the east. All other park entrances, including those along Highway 120 from the west, Hetch Hetchy, Highway 140, and Highway 41, remain open all year. Please inform Summit by 101 Great Escapes of your expected arrival time in advance. You can use the Special Requests box when booking, or contact the property directly using the contact details in your confirmation. The confirmation email did not say we had to pick up the keys to the room offsite. Difficult to do when there’s no service in the area. Garage is on the lower side so be careful if you have a roof box on a tall car other than that its a great spot. Parking for a 2nd car and a bit of trouble with the toilet. Master bed was comfortable and place was warm. The living space has 1 couch which allows two people to sit comfortably. We couldn’t sit in the other two chairs after skiing all day because they were to hard. The pull out couch is nice but remember it is a sofa bed. We could hear the people walking above us - but too bad !! The sofa bed was really uncomfortable! So bad. There was a gas leak in the building during our stay. Could have included some coffee. The view from the room was beautiful. The heat was hard to operate and find a comfortable temperature. The “third” room is actually a large corridor / passage to the second bedroom. The staff were very unresponsive and did not seem interested in helping their customers. Carpeted stairs in unit were very narrow and slippery, had 2 people slip and fall, so be careful! Door to room was a little hard to lock with key. Place was not clean properly.